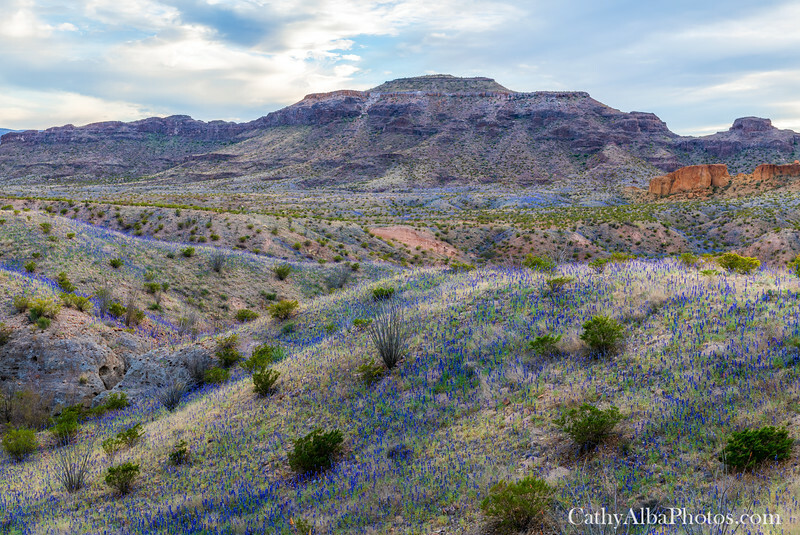 Last weekend was an amazing time in Big Bend to see the explosion of bluebonnets lining the roads and hillsides. It really is hard to photograph the true beauty of them and capture how they bloom as far as the eye can see. The layers of flowers that grow in waves along the landscape, below the mountains, is nature's poetry and the heavenly aroma cannot be described.